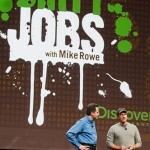 If you follow this sort of thing I’m sure you’ve already seen plenty of information about SolidWorks World 2012. The bloggers and press people did a great job of putting information out quickly this year. SolidWorks World is a very hectic time for me which means I’m not as able to deliver the information from the conference as quickly as others. I’m also still playing “catch up” with the work I missed while I was out of the office. I do have some thoughts on the conference though and I wanted to share them with you. SolidWorks World is more than just learning about the software. It’s also about meeting people, networking, having fun, seeing new technology and having a look at the partner products. For me it’s also about giving presentations. My “lights, camera, action” session had about 300 people in attendance, lots of good questions and I think it went very well. Since the conference does cover so many areas I think the easiest way for me to share the my likes and thoughts of this years event is to break things down into catagories. One of the best things about SolidWorks has always been it’s strong user community. You see and feel this community at user group meetings, on line in the forums, on Twitter and maybe amongst your co-workers. Of course at SolidWorks World the community feeling is very strong since everyone is there with a real focus on the software. 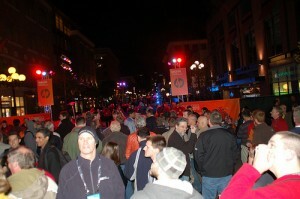 The “community” is one of the large reasons I attend SolidWorks World. I’ve made some great friends there over the years and continue to meet new people. 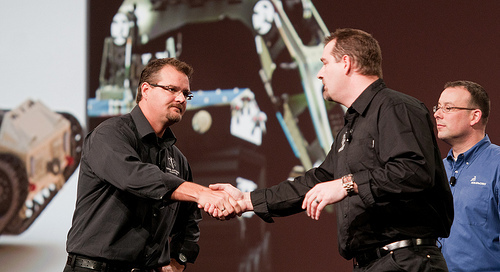 There are many people I interact with through the web on a daily basis and one of the places I actually get to meet them and shake their hands is at SolidWorks World. This is true for both SolidWorks users and employees. This year I was able to meet up with three people who I only knew through e-mail. Pawel Keska was in attendance. Pawel and I go all the way back to the PhotoWorks rendering contest. Pawel was a frequent contest submitter and we also used some of his models and images in the PhotoWorks step by step guide. He and I have talked many times through e-mail and this year we were finally able to meet at World. Turns out Pawel took 2nd place in the model mania contest. Nice work Pawel! Adan Isais is an AE with a reseller in Mexico. Adan has asked me questions about PhotoView 360 and modo in the past. He caught up with me at the tweet up. We talked shop a while, snapped some pictures and exchanged cards. Yazan Malkosh might not be a name you hear in SolidWorks circles all that often but in the modo community he’s a rock star. No one can create modo materials like Yazan. Turns out Yazan lives near San Diego so we made a plan to meet up during World. He and I had talked many times in the past which consisted mainly of him helping me with modo materials and we also worked on the SolidWorks versions of SES1 and SES2 together. Meeting Yazan in person was certainly a highlight of my trip. It was also great to meet up with the SWUGN crew again. User group leaders really are the best. If you have a local SWUG you really should make an effort to attend at least one meeting. During the day everyone is busy with the general session and breakouts so typically people meet up in the evening. SolidWorks provides a couple of different events for people to mingle but the best one by far is the Tuesday night offsite event. In San Diego the off site event was held in the gas lamp district. It’s located directly across from the convention center and they close down a few blocks so you can roam at will. There is plenty of food, drinks, music and people. It was an outstanding good time and I have to thank the people from SolidWorks who make this event happen. The general sessions take place for the first 1 1/2 hours every day of the conference. Typically Monday and Tuesday general sessions have speakers (from DS and others) that talk about different topics. The Wednesday general session usually gives a sneak peek into the next release of the software. Sometimes the general sessions are really good at pumping up the crowd and other times they are a bit more subdued. Overall I’d say this year the atmosphere was on the subdued side. Sure people were engaged and excited but I personally wouldn’t say people were completely blown away by what they saw and heard. The year when Jim Lovell and Jean Krantz from the Apollo 13 mission spoke I think the entire room was just leveled. They really brought down the house. This year there were some good speakers but they didn’t have the same effect. 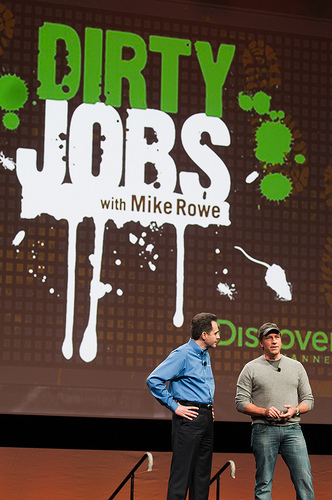 The top two speaking sessions for me were Mike Rowe from Dirty Jobs and Mike and Geoff Howe from Black Ops Brothers. These speakers really appealed to me I think because they both talked about how “regular people” are out there inventing, working and making the world go round. You don’t need a PHD, lots of money, a large staff or even a college education. Common sense, desire, hard work and determination can take you a long way in life. This was the message they were laying out there and it’s one I can really relate too. You can see video from the general sessions here. 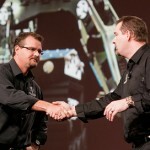 You can see images from SolidWorks World 2012 here. I was in the partner Pavallion more this year than years past because I was working at the Boxx Technologies booth. I’ve owned a Boxx workstation for a couple of years now and really for the kind of work I do (rendering and animation) there is no substitute for the power a Boxx workstation can provide. Lots of people stopped by to say hi while I was at the booth so staying busy wasn’t a problem. I did take a couple of strolls through the partner area as well. I always like to check out some of the products designed with SolidWorks being showcased and it never hurts to check in on the new technology the partner companies are showing. One thing that really caught my eye this year was a new product from Luxology. Luxology, the makers of modo and the underlying technology for PhotoView 360 had a booth just across the isle from the Boxx booth. They were of course showing modo and the SolidWorks kit for modo but they were also showing a new product, PowerNURBS that converts a Sub D mesh into a NURBSs model. Yes, soon you will be able to model a shape in modo and export the modo Sub D mesh into a NURBS model for use in SolidWorks. It was quite amazing really. When T-splines was gobbled up by AutoDesk I was afraid TS Elements would see the end of it’s life and the ability to work with both Sub D and NURBS geometry in a somewhat fluid manner would be lost with it (for SolidWorks users anyway). Looks like that’s not case as Luxology has stepped in to fill the void. Not sure when we’ll have availability of the product but I’m guessing it will be before summer. Another large reason I wanted to go to World this year was to see what was in store for the future. SolidWorks has been very tight lipped about their “next generation” software over the last couple of years and I wanted to see if this year’s conferencee would bring new info to the users. I was also wondering what was on the horizon for SolidWorks 2013 and thought maybe we’d see some new product annoucements. Live Buildings was shown at SolidWorks World 2011 and since then no new news has been made available. I’ve been unsuccessful in obtaining demo copies of the product and this along with the lack of information made me wonder the status. Well, wonder no more. Bertrand Sicot, CEO of SolidWorks stated numerous times, Live Buildings would be available in Q4 of 2012. He even went so far as to guarantee this so it looks like we will be seeing this product in the near future. This is good news for me since some of my business does included residential building design and I’ve been searching for a software solution to do this work in 3D. SolidWorks 2013 was shown (or parts of it) during the Wednesday general session. The SolidWorks team did a really great “back to the feature” skit based on the movie “back to the future”. John Hirshtick even had a cameo appearance. I missed not seeing John on stage this year. I’m actually not sure how many new things were shown during the skit but Ricky Jordan has a good write up about them at his blog. Honestly I didn’t take any notes during this segment of the general session because not much shown excited me. I did like the semi backward compatibility between SolidWorks 2012 and SolidWorks 2013. It’s not exactly what I was hoping for but it’s a start. I also liked the ability to vary pattern dimensions since I use patterns quite a bit. Now, there may have been things shown that other users really liked but for my work I really didn’t see anything I had to have. In fact I’d say the only new features I’ve seen since SolidWorks 2010 that has made me want to upgrade is PhotoView 360. It was not shown on Wednesday but I can say there are some really nice enhancements on the way for PhotoView 360 in 2013. 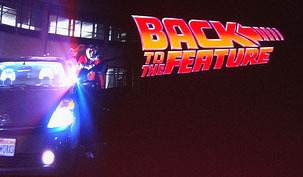 You were probably expecting me to have a long list of enhancements and a rave review of 2013. I wanted this to be the case and I had high hopes for the Wednesday general session but I just wasn’t feeling it when they were showing the new features. There were a couple instances of “noise” from the crowd on Wednesday so some things shown were catching some interest but overall I didn’t feel a large level of excitement from the room. This brings me to “SolidWorks V6” In the Wednesday press conference we were told the next generation of SolidWorks would be named SolidWorks V6. We were also told it would not be released until it was ready. No firm dates were given but I got the sense it was going to be 2-3 years before we will be able to purchase the SolidWorks V6 product. I’m not sure how I feel about this. I think with all the hype a couple years ago and the lack of information since then SolidWorks needs to hit a home run on the release of this product. It will have to be very good to match the waiting game we have been playing. So, in that respect I completely agree they can’t release the software until it’s ready for show time. On the other hand we have already been waiting 2 years and there is nothing to show. Why is that? Why the lack of information? This gives me an uneasy feeling about the future of the product. I also wonder if the software hits the street 3 years from now will it already be behind the competitors. You may say, why do we need SolidWorks V6 and that’s a good question. I’m sure from the user perspective the answer is different than from the DS/SolidWorks perspective. For me personally I think the next generation of software is going to bring a new level of technology that will help the product shape the future of the CAD world and lead to more innovation. The current product actually works just fine for my needs at the moment but it’s based on technology that’s more than 15 years old. I think that limits the levels at which the software can compete and it may be the reason why the last couple of versions haven’t seen any real innovative feature developments. It looks as though we’ll have to wait for information to trickle out about SolidWorks V6 as no new information was put forth at the conference. It was also made very clear in the press conference that the current SolidWorks technology platform will be around for many more years to come and will coexist for some time with the new technology version. This will allow users to upgrade when they are ready. I should also disclose DS SolidWorks Corporation paid for my hotel at this years conference.